Student leader (1964-68). Doctor of Philosophy (Faculty of Social Sciences, Charles University, Prague, 1969). Journalist, television commentator, director (1967-1973). Editor (1970s and 1980s). Writer of television screenplays, televised plays and books (1970s and 1980s). Chief dramatist of the electoral campaign of the Civic Forum (1990-1991). Spokesman for the Civic Forum (1990-1991). Government spokesman and chief adviser to the Prime Minister (1990-1991). 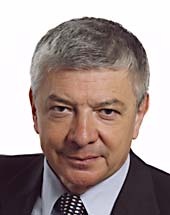 Founder and Managing Director of TV Nova (1993-2003). Founder and Vice-President of the Franz Kafka Society and the Franz Kafka Foundation, Prague. Member of the board of trustees of the Duha Foundation for the integration of the mentally handicapped. Head of the board of trustees of the Galerie Foundation for the protection of cultural assets.